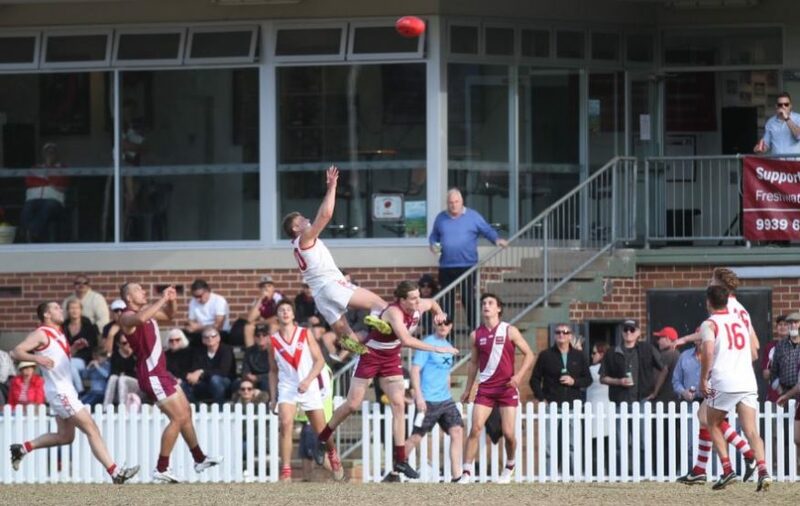 St George Dragons young gun Connor Flanagan who took a sensational Speccy in the Premier Division game against Manly Warringah on the weekend. 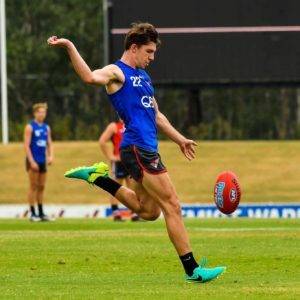 This spectacular mark would surely have to land him in contention for the AFL Sydney Mark of the Year. Rumour has it he has been bragging about it all week at training. 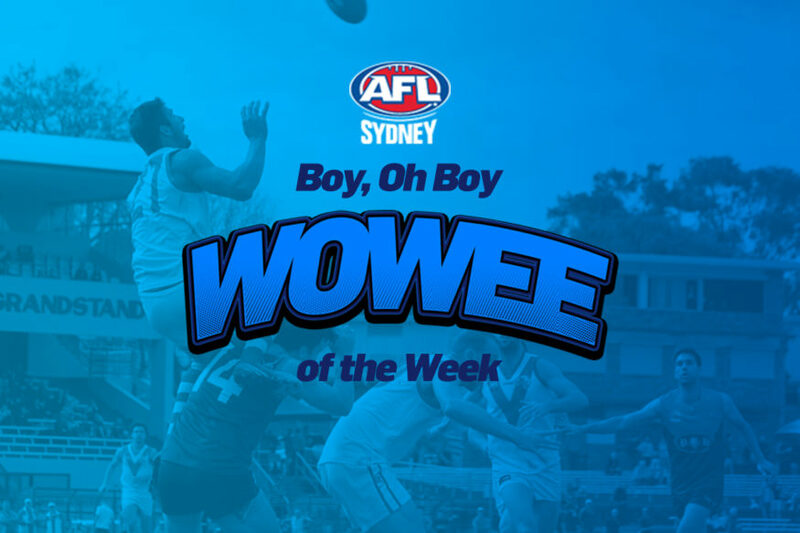 For this stunning effort we award the talented youngster the Week 16 Boy Oh Boy Wowee of the Week. 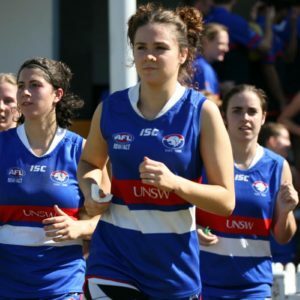 Image courtesy of St George Dragons Media. 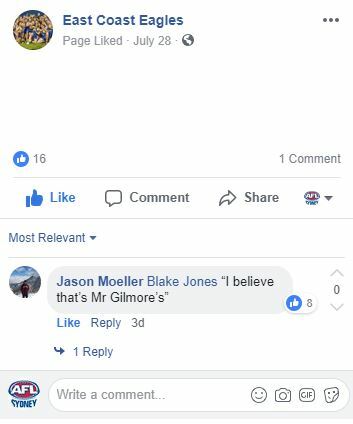 East Coast for some great Facebook banter. 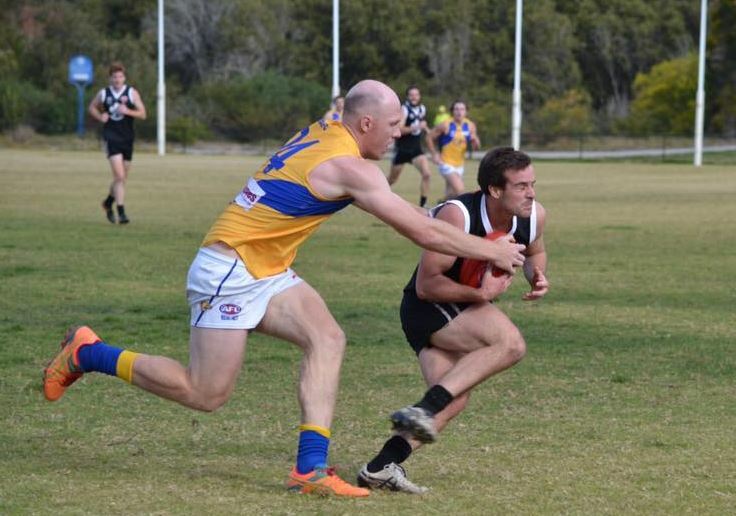 On the weekend the East Coast Eagles played the Western Suburbs Magpies at Picken Oval. 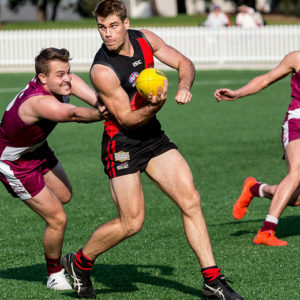 During the game backman Kieran Emery ran down a smaller Wests player and the comparisons began on facebook. For Kieran’s Richard Kiel impersonation (minus the hair) we give the Eagles a Boy Oh Boy Wowee nomination. Western Suburbs Magpies for defender Geordie Gregory’s attempt on goal at the wrong end of the ground! The Wests backman didn’t want to be out done last weekend with the goal of the year being kicked by Jack Higgins at the MCG. Hearing about the goal at half time, Geordie had to try and out do Higgins. Being a backman, it was always going to be a hard task. Geordie received a free kick for out on the full and like any good defender does went looking for the switch across the ground. Unfortunately for Geordie he kicked it straight across goal into the opposite behind post. 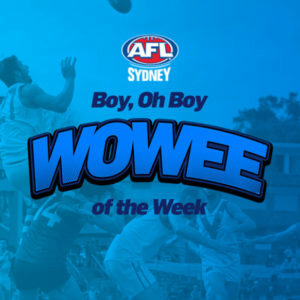 You may not have kicked the goal of the year but you have scored a nomination in this weeks Boy Oh Boy Wowee of the Week. St George Dragons for Brendan Donohue’s impromptu assistance. Brendan has done so much for the St George football club as President however this week he preformed a diffrent role, assisting injured player Matthew Saunders. As Matthew waited for the ambulance after dislocating his shoulder Brendan stepped in to act as a backrest for the injured player. For stepping up for his boys in a time of need we give Brendan a Boy Oh Boy Wowee of the Week nomination.